Unfortunately the 12:30 Bath to Bristol Airport service will not be departing from Bath City Centre, and will begin its journey at Corston. Apologies for any inconvenience caused. This entry was posted in Uncategorized on April 18, 2019 by Victoria. This entry was posted in Uncategorized on April 17, 2019 by Victoria. 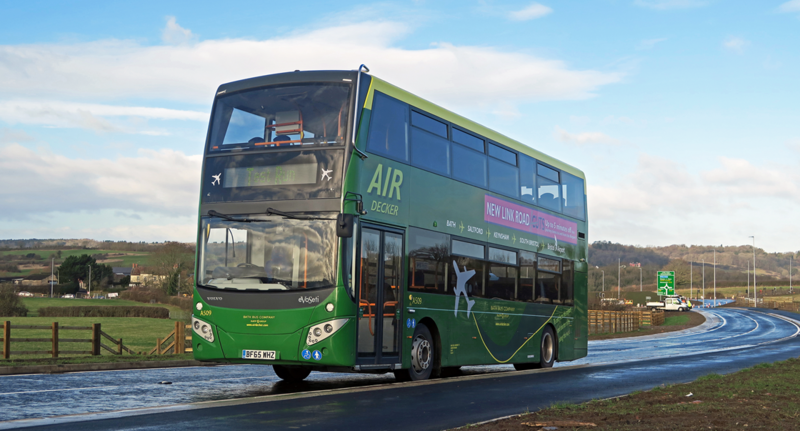 17/04/19- The 07:30 Bath to Bristol Airport and the 09:00 Bristol Airport to Bath service will be unable to operate. Other journeys remain unaffected and will run as normal. Apologies for any inconvenience this may cause. Bath to Bristol Airport: Normal service will operate from 03:00hrs, until 09:00hrs inclusive. After this, we are unable to serve the city centre and buses will start and terminate at The Globe. Normal service from Bath to the airport will resume at 15:00hrs once the road closures have lifted. Airport to Bath: Normal service will operate from 04:00hrs to 08:00hrs inclusive. After this, we cannot serve Bath, and buses will terminate at The Globe. Normal service from the Airport to Bath will resume from 13:30hrs onwards once the road closures have lifted. Passengers are advised to leave plenty of time to arrive at their destination. Passengers travelling from Bristol Airport to Bath are advised to alight at Keynsham Church and board a connecting train from Keynsham to Bath Spa to complete their journey. For further information please contact +44 (0)1225 444 102 or email hq@bathbuscompany.com. This entry was posted in Uncategorized on March 6, 2019 by Victoria. 13:30 Airport to Bath, 15:00 Bath to Airport, 17:30 Bath will terminate in Keynsham, 19:00 Airport to Bath and the 20:30 Bath to Keynsham. All other services will run as normal. Apologies for any inconvenience caused. This entry was posted in Uncategorized on February 10, 2019 by Victoria. A4s have resumed normal service today. We do not anticipate any further disruptions but will update accordingly. This entry was posted in Uncategorized on February 2, 2019 by Victoria. Due to the continuing adverse weather conditions, we are intending to cancel Air Decker journeys this afternoon/ evening. The 14:00 Bath to Bristol Airport will be the last departure of the day from Bath. The 15:30 Bristol Airport to Bath will be the last departure from the airport. All other journeys will operate. Please allow plenty of time to reach your destination and we will update if anything else changes.